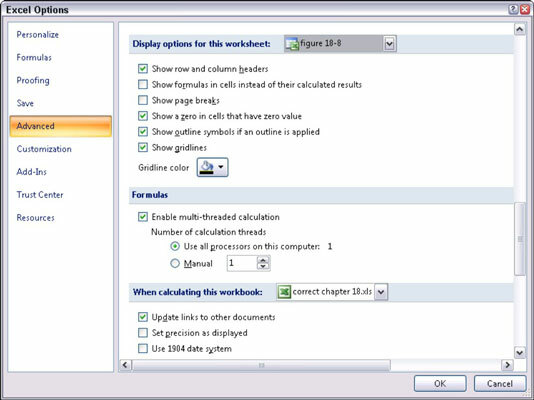 In Excel 2007, it can be difficult to view your formulas without accidentally editing them. That’s because anytime you are in “edit” mode and the active cell has a formula, the formula might incorporate the address of any other cell you click. This totally messes things up. 2Click the Advanced tab in the left pane. 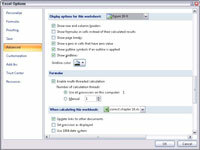 3Scroll down to the Display Options for This Worksheet section. These options appear about two-thirds of the way down. 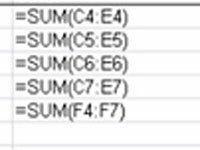 4Select the Show Formulas in Cells Instead of Their Calculated Results check box and then click OK.
Excel displays the formulas in the worksheet cells.